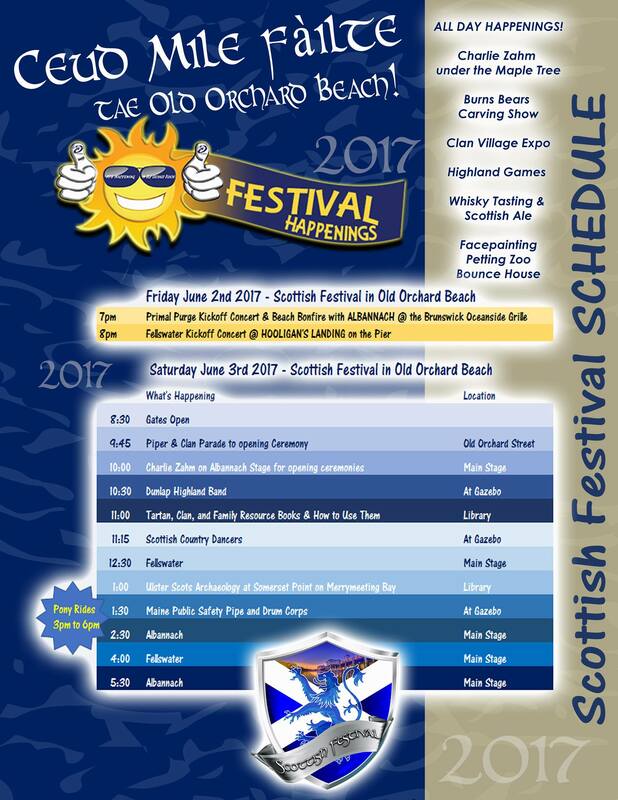 Fellswater will make our debut at the 2nd annual Old Orchard Beach Scottish Festival on Saturday, June 3, 2017. Admission is just $5. Other entertainment includes Albannach and Charlie Zahm as well Highland athletic demonstrations, Highland and Scottish country dancing and local pipe bands. Come on up to Maine for a great day of music and Scottish culture. Fellswater will be playing at 12:30 pm and 4:00 pm on the main stage.